5-11 Weeks of Age: By this time, newborn kittens should be weaned off of their mothers or bottle-feeding, and feeding on a high protein, energy dense diet. During this stage, their motor skills and coordination should also be progressing. How to take care of a kitten at this age includes proper supervision in order to ensure that your kitten's newfound sense of adventure and bravado doesn't lead them into dangerous situations. 4-6 Months of Age: Your kitten is reaching an age of adolescence and therefore, sexual maturity. This will result in an increase of energy and at times, behavioral changes. How to take care of a kitten during this phase includes continuing hands-on bonding-based playtime with the addition of behavior modification if necessary. There are many ways to enrich your cat's environment which is especially important for indoor kittens. During your next appointment we should discuss ways to build an enriched environment that provides the right amount of stimulation your kitten instinctively desires. At approximately six months is the time to plan for your kittens to be spayed or neutered. Most kittens will go through puberty at approximately 6-8 months and it is recommended that they are spayed or neutered just before then to avoid unwanted kittens. Kitten vaccinations are essential to proper kitten care and should be started soon after you get your kitten. The average age to get a kitten is 6 weeks. This is when we recommend starting the vaccination program followed by boosters every 3 weeks until at least 16 weeks of age. Annual vaccines will follow at one year and we can help you understand a long term plan for the rest of the cat's adult life. Kitten vaccinations are given to prevent feline leukemia, rabies and distemper. These infectious diseases are devastating and completely preventable with simple vaccinations. Schedule A Kitten Care Appointment With Advanced Animal Care Today! At Advanced Animal Care kitten care is one of our greatest joys. 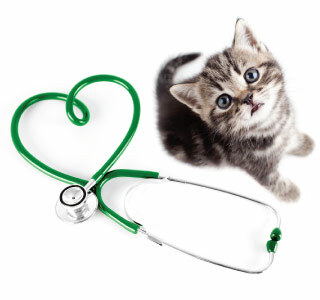 Our veterinary staff would be delighted to spend some time with you and your kitten ensuring that your relationship will be a healthy, happy and rewarding one for many years to come. Schedule your first kitten care appointment today!